This work was produced for Death Be Kind’s final exhibition, ‘The Rest is Silence’. The theme of this exhibition was the human skull. The piece was conceived as a means of essentially eliding the overstatement and clichés that attend much contemporary skull imagery. I chose instead to consider what the skull contains, the negative spaces and unseen portions of the skull that conceal that which animates the skull (and the individual) in life. Despite the sophistication of contemporary science, this remains largely mysterious. Indeed, attempts to reduce the vagaries of human thought to pure scientific determinism are largely absurd. Similarly absurd are attempts to reduce art to its formal constituents. 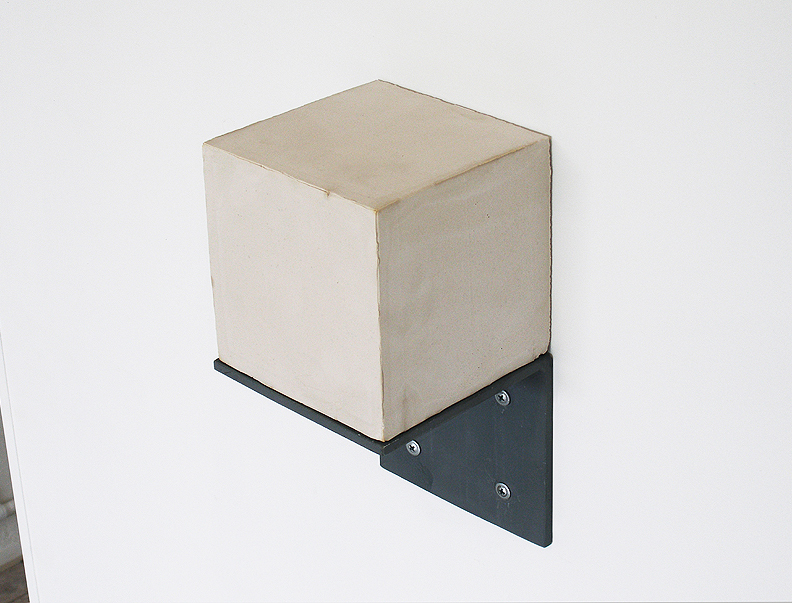 In fact, this work could be seen to ironically materialise the impossibly literal ‘dimensions’ of thought, in contemporary art as well as in our heads: the cast plaster cube represents 1900cc the maximum cranial capacity of human beings (ironically it could also be seen to physically – and forlornly – embody the maximum extent of human intelligence).